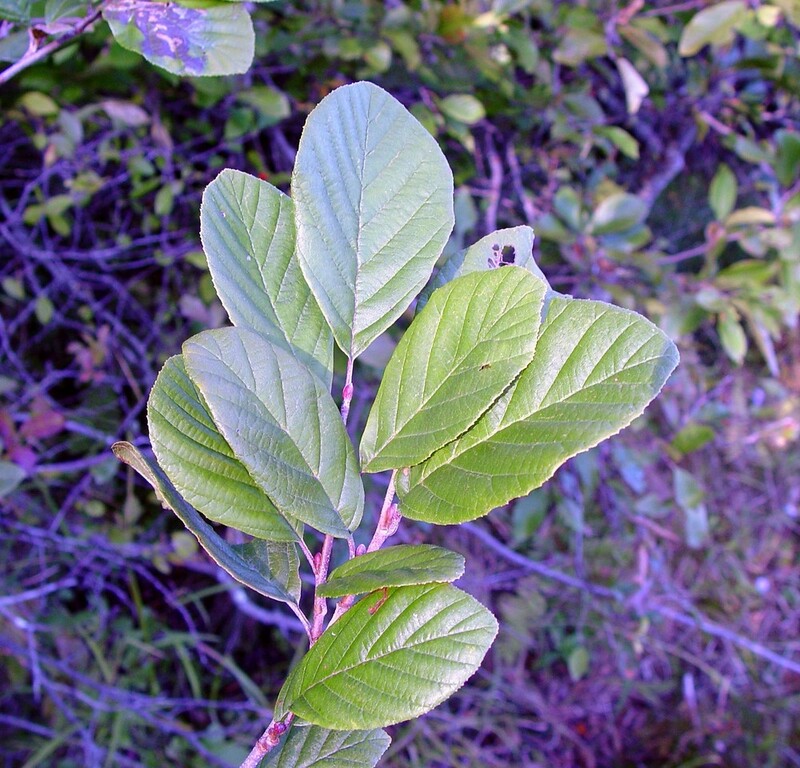 Alnus serrulata. By Arthur Haines. Copyright © 2015.New England Wild Flower Society.gobotany.newenglandwild.org (Accessed 5/2015). Alnus serrulata is a multi-stemmed shrub, to 6 m tall; colonial, forming thickets, winter buds stalked; lenticels small; stipules persistent on younger leaves. Flowers in catkins sexes separate, Feb.-May. 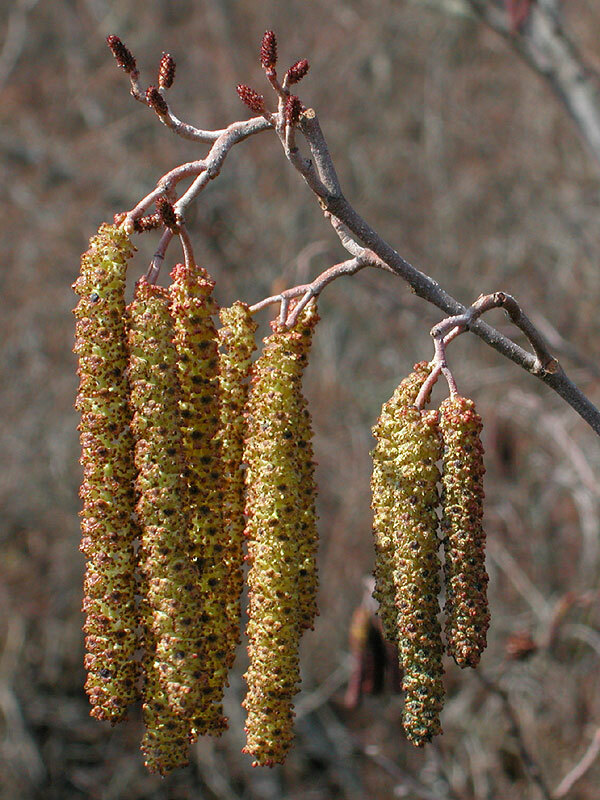 Fruit dry, tiny winged nuts, within cone-like catkins, 1-2 cm long, almost stalkless; ripens Sept.-Oct. Wind dispersed. Seeds eaten by some songbirds, twigs and leaves eaten by rabbits and deer (Martin et al 1951). Habitat: Open, undisturbed freshwater wetlands. Prefers soil pH 5.5-7.5. Tolerant of poor soil, flooding, soil compaction, drought, low nutrient soils. Intolerant of salt, shade (Hightshoe 1988). Notes: Root nodules with nitrogen fixing bacterium (see A. incana). Susceptible to damage by borers, tent caterpillars and other insects. Weakened plants may be attacked by Coral spot canker (Nectria cinnabarina), and other fungi (Sinclair et al. 1989).